The Versace label is renowned for a luxurious glamour that has always tip-toed along the cutting edge of sensual sophistication and edgy elegance. Versace prescription sunglasses are made with only the highest quality materials, and are designed to reflect the urbane and impeccable taste of the style-savvy face behind the frame. Supple curves, clean lines, and truly fashion-forward styles are the hallmark of the Versace brand, and Versace prescription sunglasses uphold the label's distinguished legacy. Due to manufacturer's restrictions, Versace products cannot be shipped to Australia. Versace VE2198 is a Full Rim frame for Women, which is made of Metal. 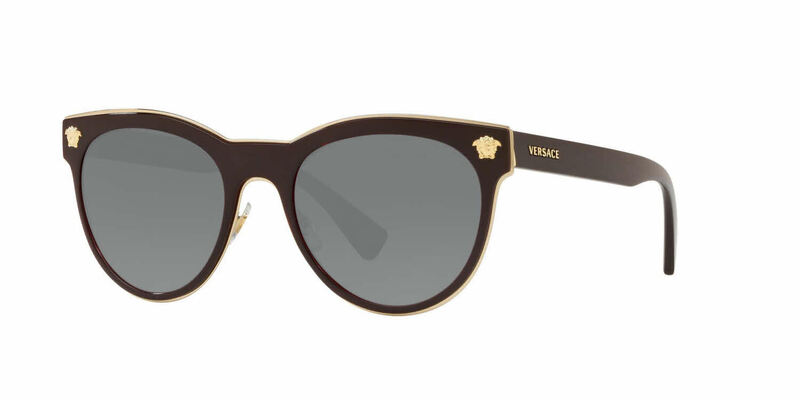 The Versace VE2198 RXSunglasses feature the following logo: Versace on temple. Versace VE2198 RXSunglasses come with a cleaning cloth and protective carrying case.